In a low-density residential area of Elviria, very close to all amenities, a local shopping centre, the beach, restaurants, bars, international schools, hospital. 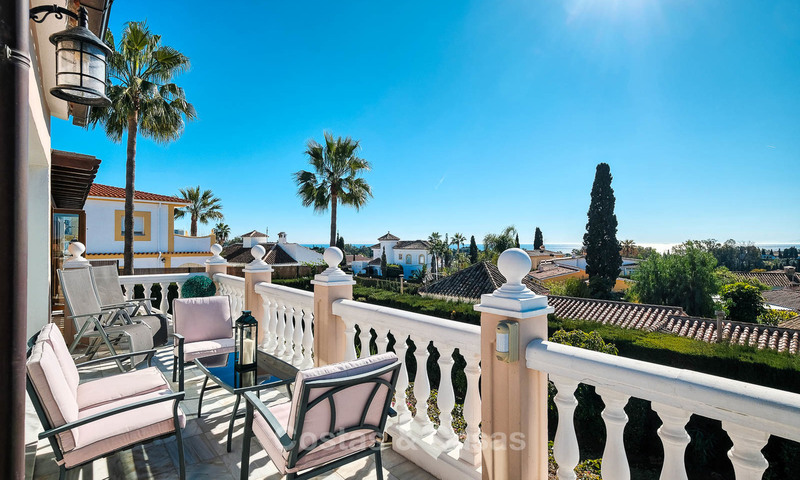 Elviria is a lovely district, just east of Marbella, scattered with low rise apartment blocks and villas surrounded by lush vegetation, pine and oak trees. A well-known Michelin-starred restaurant is just around the corner. Several 5-star hotels, with plenty of facilities, are also close by. 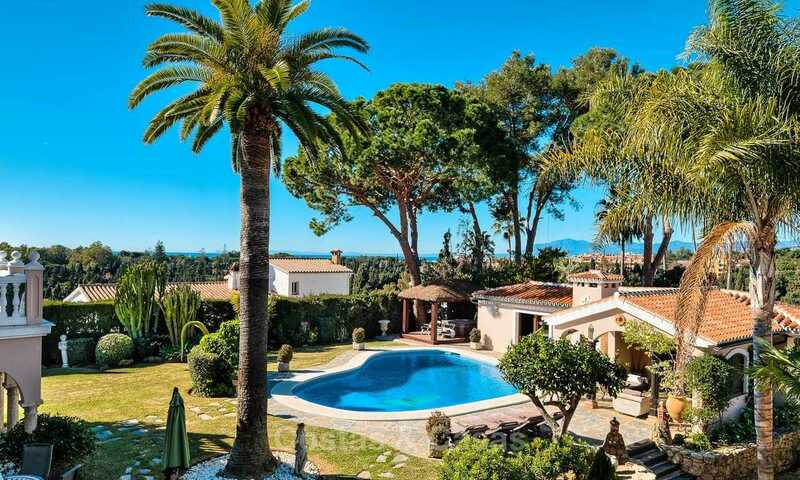 Elviria counts 3 quality golf courses, which are only minutes away from the property. 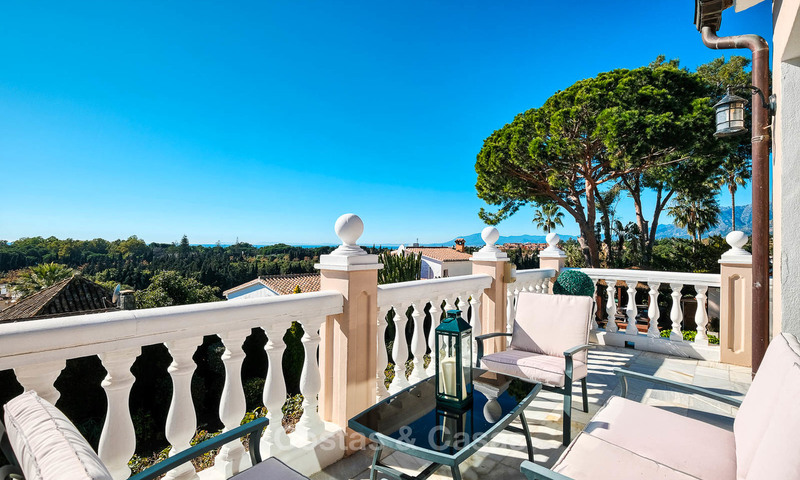 Just a ten-minute drive from the centre of Marbella and a 2-minute drive away from the beach with the famous Nikki Beach beach club in the immediate vicinity. 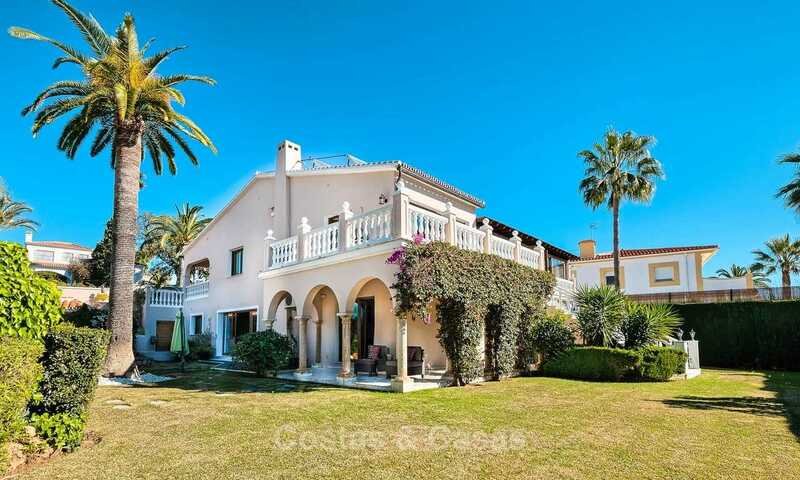 Cosy, spacious and luxurious traditional style family villa with great sea views, partly renovated and ready to move in! The villa comprises an entrance hallway, a large living and dining area with fireplace, fully fitted kitchen, a second lounge or TV-room, an en-suite master bedroom and 3 bedrooms with 2 bathrooms. 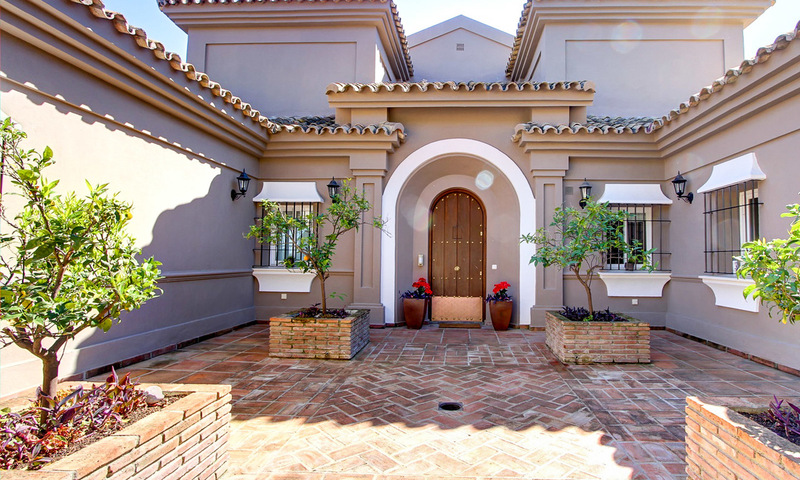 There is a separate guest apartment with sitting area, open kitchen and en-suite bedroom.